I have had this game since its launch back in November 2011. I have put a hundred plus hours on my first character and forty plus hours on two other characters I have created. One of my characters has reached the level cap of eighty-one, while the other two are around level fifty. Even though I’ve put all these hours in, I still have yet to completed the main story line to the game. I share this information to give you a general idea of exactly how vast and expansive this entire game is. It also shows exactly how easily it is to get sidetracked from quests and just end up wandering from one end of the world to the other. Skyrim is full of content, from clearing dungeons of undead to sitting in town chopping wood. This game has almost endless content to explore. The leveling system remains similar to past Elder Scrolls games, in leveling a skill by doing that skill. Using a one handed sword will increase one handed skills, for example. While I find sword and shield combat to be the most entertaining, as nothing is more fun than running in and smashing someones face with a mace. Although, any type of combat can be fun to play. From setting destruction skill traps on the ground and leading enemies into it while using a fireball spell, to sneaking in with a bow and shooting from a distance. Its these mechanics that allow every character to feel fresh and different each play through. While combat is a draw to the game, it is easy to get lost in the beauty of the world. Looking around and admiring the detail the developers put into the game is a good aspect of Skyrim. You can catch all the appreciation of detail by traveling from hot springs in the south, to the frigid mountains in the north. 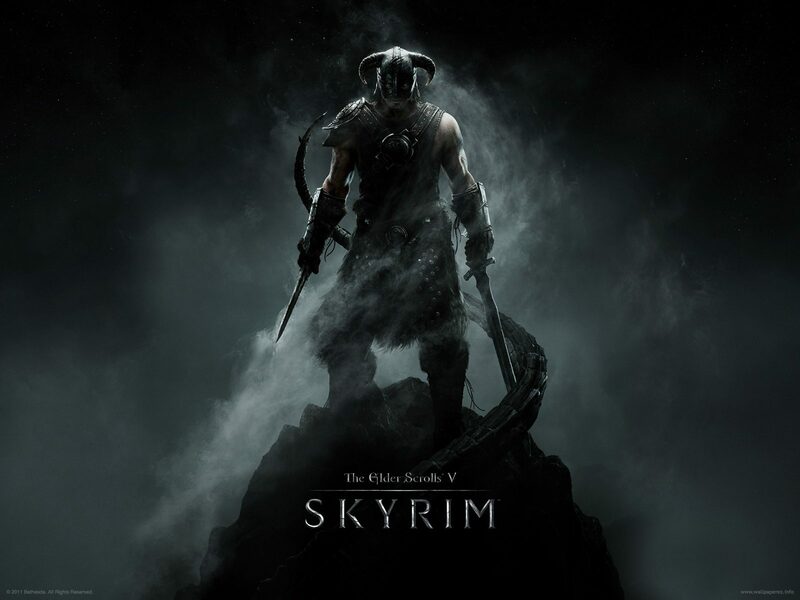 Skyrim is a great game, it can easily make a few hours feel like minutes. More than once have I looked at the clock and thought, wow is it really already 2am. By far one of my favorite games to play, even going back to it once I get bored of newer titles. The only drawback to this game is the amount of bugs that are present within. Seeing a dragon flying backwards or a giant sending a guard flying off in the air like team rocket in the old Pokemon shows is funny. On the darker side of bugs, there are crashes to desktops that frequent PC users and people who play on system are not any safer. As the game save file grows the more you do, it cause lag and freezing in games where hours of time has been invested. The PS3 had the worst of the bugs, with high end PCs having the least issues with the title. While the bugs can be annoying, I rarely had issues. It is in no way, a reason to not pick up this game. Dragonborn is by far my favorite of the three expansions to the game. It takes the game back to Solstheim, which was used in the first Elder Scrolls I played, Morrowind. This nostalgic expansion, updates old armors to current generation graphics. While adding in a expansive storyline. Dragonborn places you upon an isle just north of Morrowind, the dark elf home, to defeat another Dragonborn like your character. While I have not completed this storyline as of yet, I have a tendency to stray from the path and get lost into doing something else as I previously stated, because the expansion adds in several hours of new quests. Overall another worthwhile expansion adding in more difficult creatures to fight, along with a whole new island to explore. A simple expansion to say the least, it adds the ability to build homes in the holds that did not have a home to purchase previously. For the most part finding the mats to expand and create you home is a challenge all in its self. The final product is worthwhile, walking through a trophy room with a dragon’s skull and trolls makes it worth the effort. An alchemy garden simplifies gathering materials, also having all the crafting stations within one area is nice as well. The only draw back of this expansion is the lack of story to go along with it. Dawnguard is about a group of vampire hunting knights doing the obvious. This expansion adds a good amount of content to the game, adding in hours of content to the already vast game. You are tasked with joining either the vampires or the Dawnguard and follow them along to destroy the opposite. Being a vampire unlocks the vampire lord, which adds in a transformation into a very powerful creature, similar to the werewolf. Being in this state requires a 3rd person view. Also, it is a very lengthy transformation. This is a draw back because at times being a vampire lord means you cannot fit through a door frame, requiring you to go back to normal form and transformer if you so desire to go back. This pack also added in new armors and weapons, including crossbows. It also added in a perk tree for the vampire lord and werewolf respectively. This allowed you to unlock skills while transformed and improve the transformation into an even more formidable force. 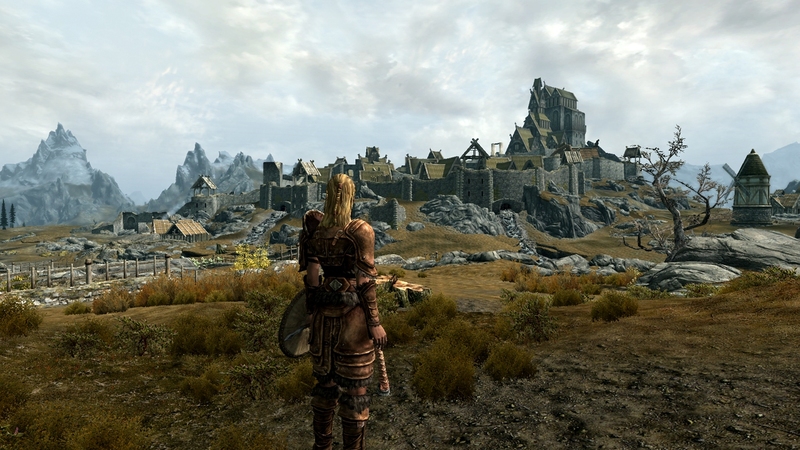 Overall, Dawnguard adds hours of game play and makes for an interesting story on both sides of the spectrum. A few bugs in the graphics, but overall an amazing living world. One of the few games you can just stop and look around and just see the beauty of nature. Good voice acting, along with well done ambient sounds. Music does a good job of being involved in whats happening, an intense conflict plays faster music, when just wandering and nothing is happening, a quiet, subtle tone plays. Easy to pick up and get started, hours upon hours of content. New games always feel fresh and different from the last. A great game to sit back and relax and just wander around in.